Selling your car is a very simple process. There are no obligations to buy a car from us, we will meet or beat most written offers from any other dealer. 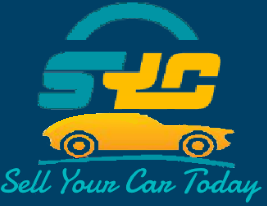 Sell your car today by getting an offer in as little as 15 minutes, and leave with MONEY the same day. Sold them my truck, got paid instantly. Thank you guys. I had such a great experience with Travis today!! I walked in with less than a bit of hope and he definitely turned my frown upside down and I drove off of the lot today in a vehicle!! I appreciate him and what he did for me and my family! I couldn't be happier! The best carlot in the Cumberland County Area! Ask for Travis! You won't be let down! They keep the place very clean. They are really cool and work fast. I love being there employee! Wonderful people that will bend over backwards to help get you in a car today. Let them be your next car buying experience. Alli and Travis thank you so much for staying with us and working through our nightmare of a situation. I bought a 2011 Chev Malibu there last Year , They went above and beyond to help me get the car . They even fixed the car up to my liking so that i would be happily satisfied ! There Great People ! Only Used Car dealership I deal with ! They have Great prices and are willing to go to the extremes to help ! The guys at Sell Your Car Today were so helpful! We have been dealing with insurance and a recent total loss, finally got that figured out and decided to check them out for a new vehicle. The owner Travis, his brother Moose and Jackson went to some great lengths to help us get a car that our family needed. I highly recommend checking these guys out for your next vehicle purchase! WOW!! What an awesome experience, sold my car and had the check in my hand in less than 45 minutes!! I could not believe how quick and smooth the process was.....Derrick, Jackson, and Mr. Travis You guys are awesome!! Thanks again!